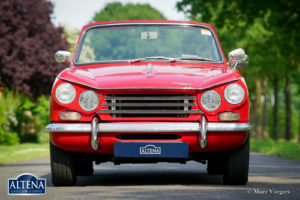 Triumph Vitesse Mk II, year 1969. Colour red with a creme white contrasting stripe on the sides. 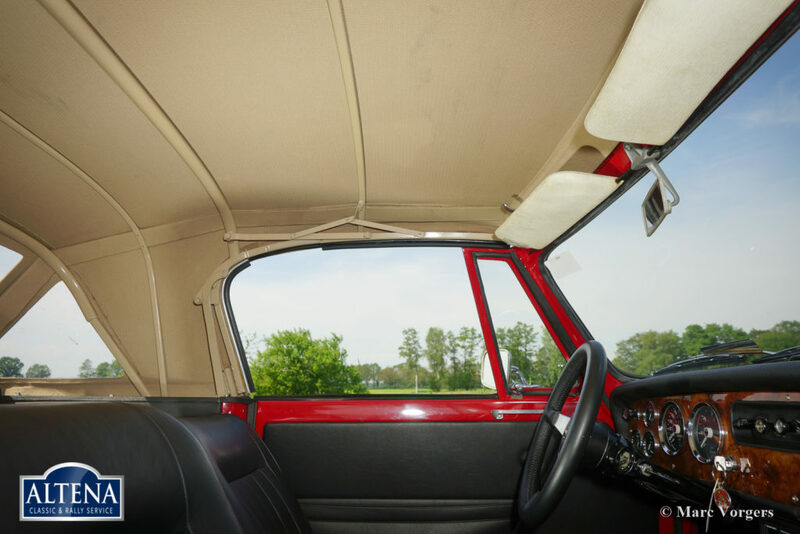 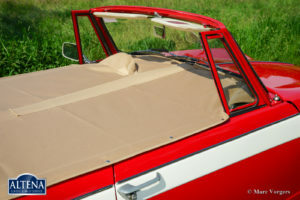 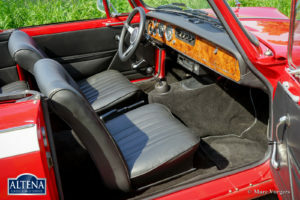 Black leather interior, black carpet, beige mohair hood and a beige mohair tonneau-cover. 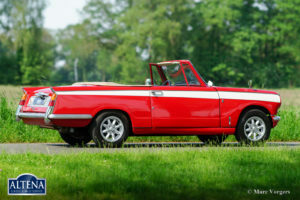 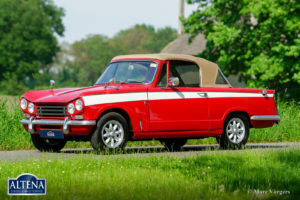 The Triumph Vitesse is the quite rare six-cylinder convertible which is based on the Herald series. 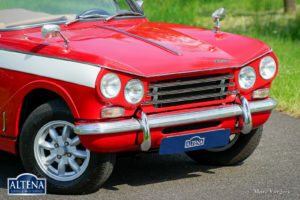 The car was designed by Giovanni Michelotti. 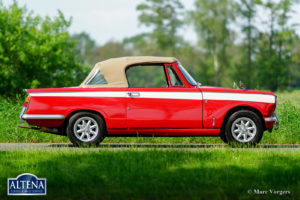 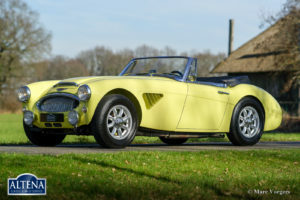 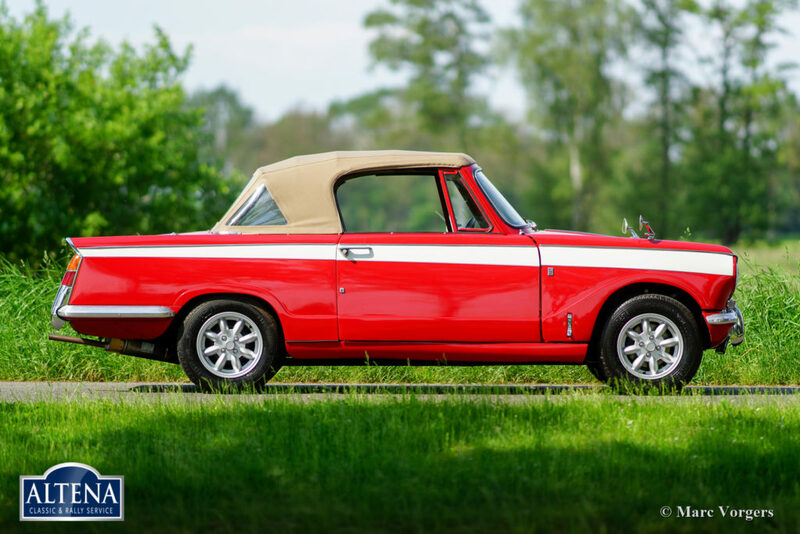 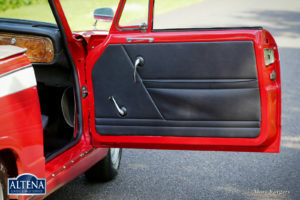 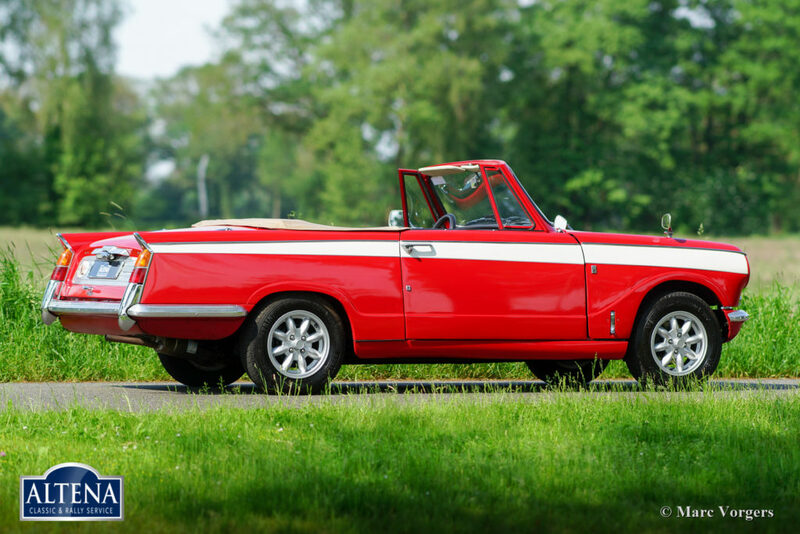 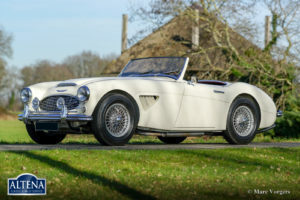 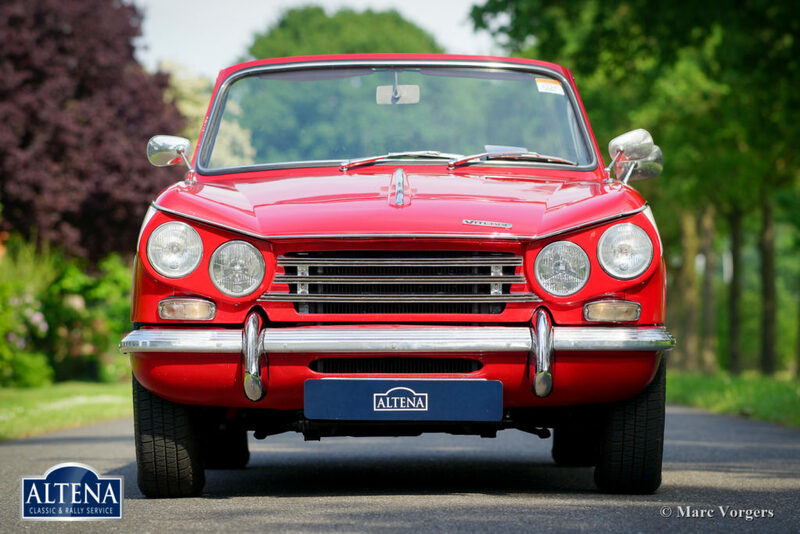 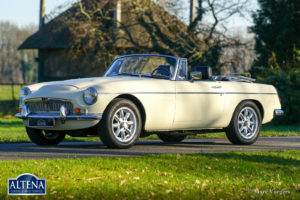 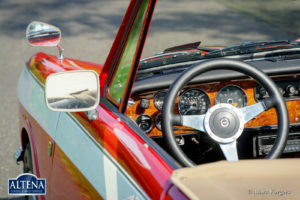 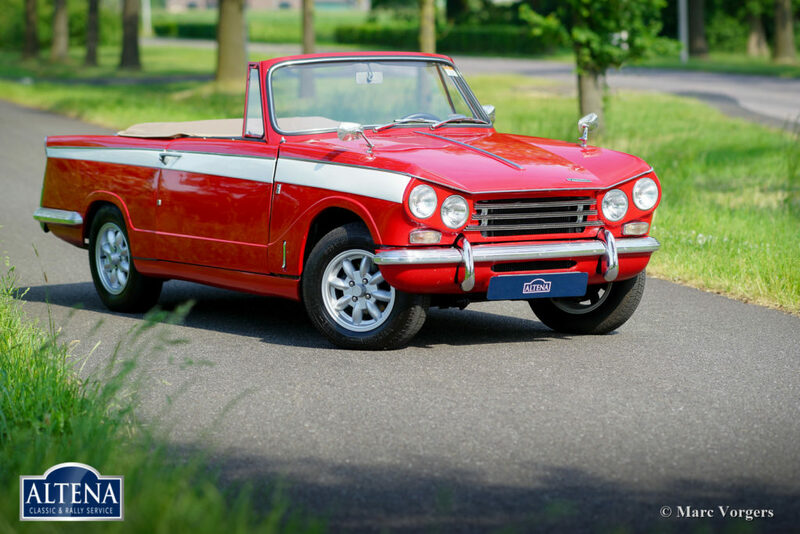 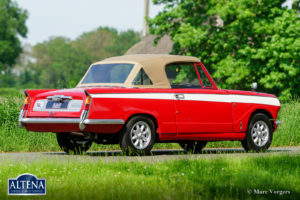 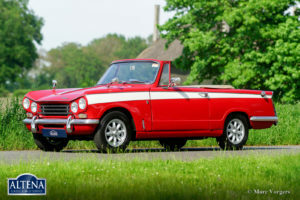 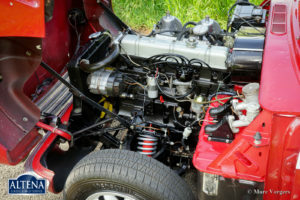 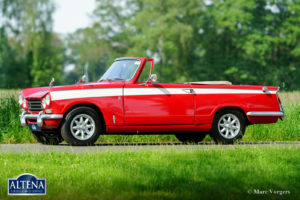 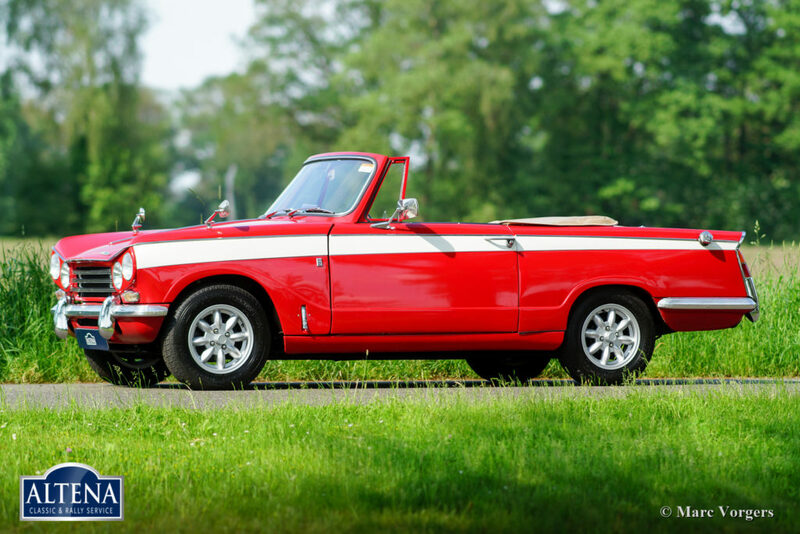 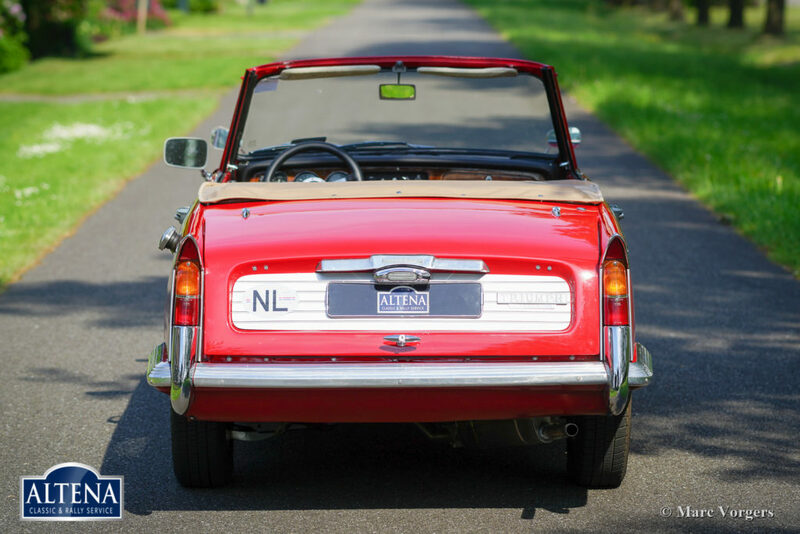 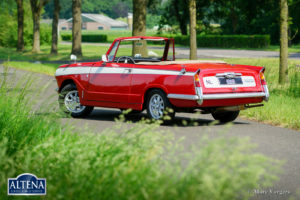 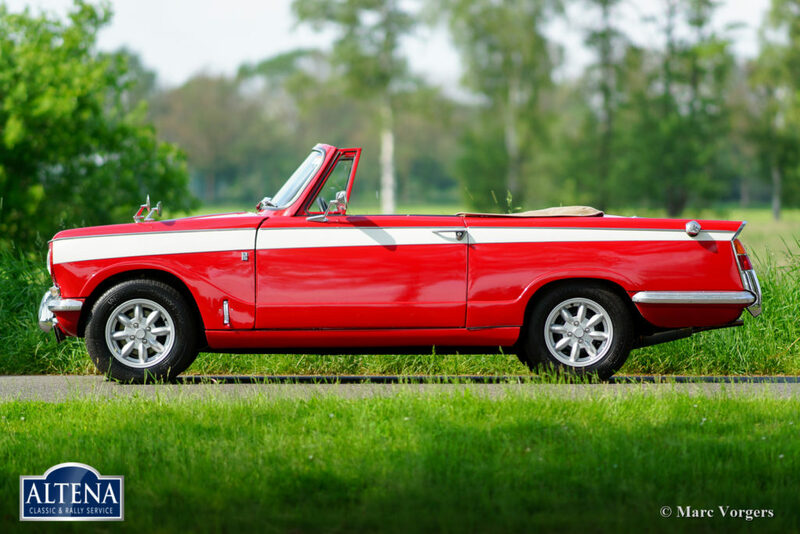 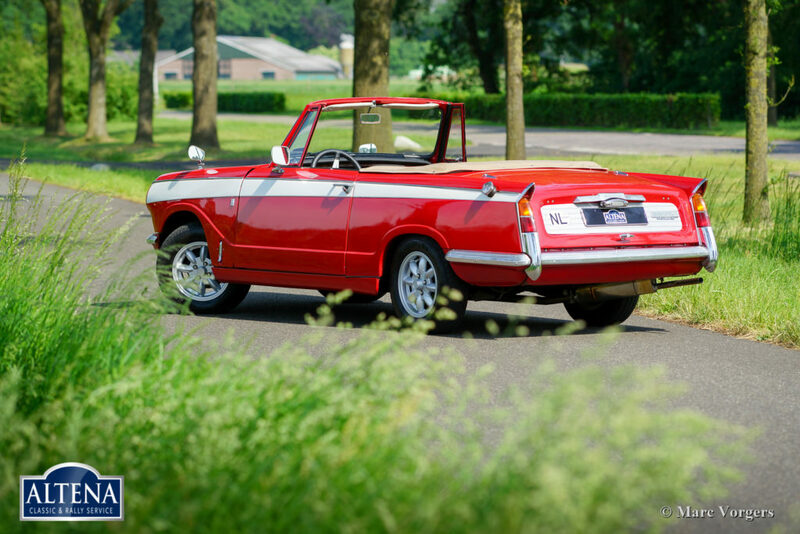 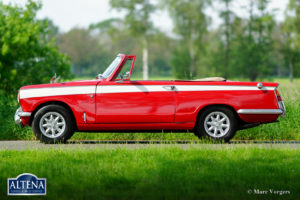 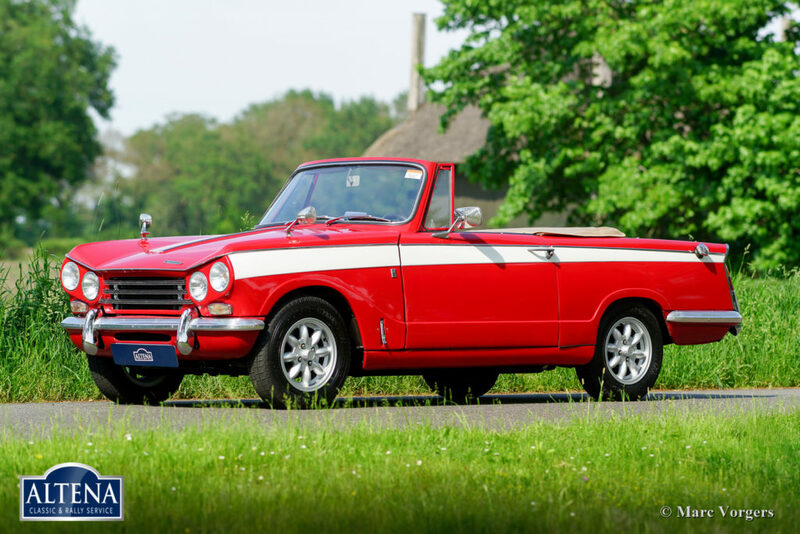 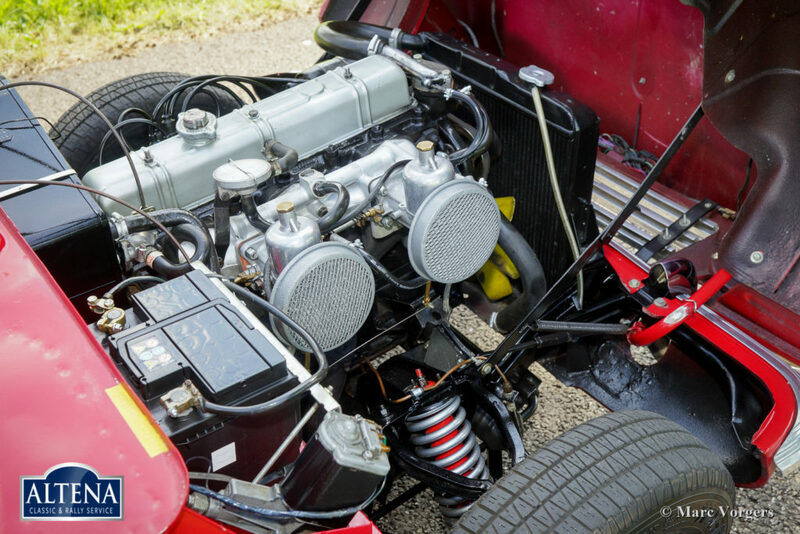 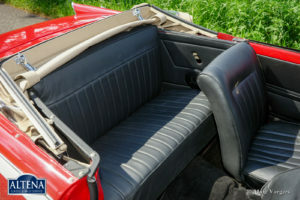 The presented Triumph Vitesse was extensively restored a few years ago in the Netherlands, the automobile is in excellent condition and the car drives delightfully! 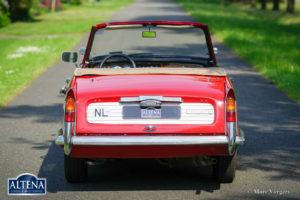 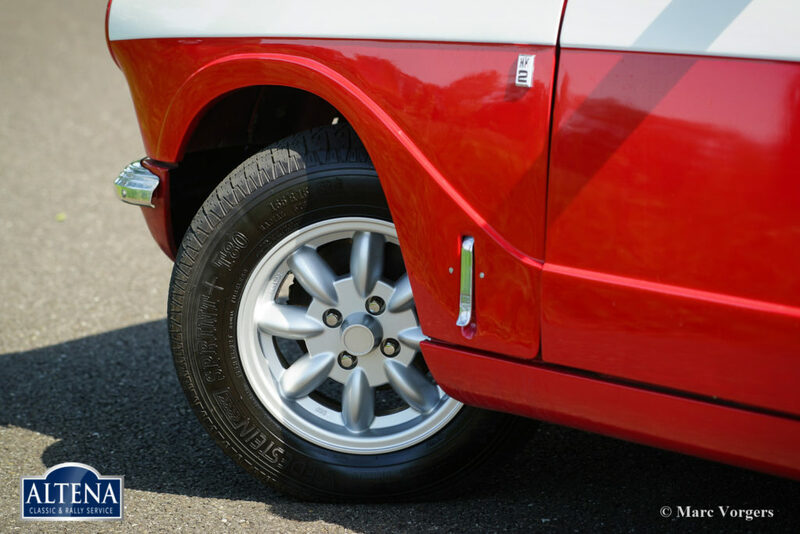 This is a RARE left-hand drive (LHD) model! 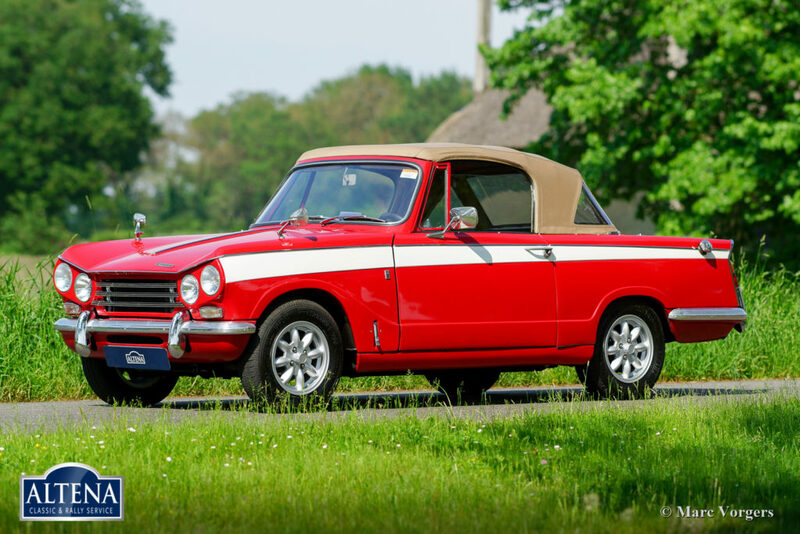 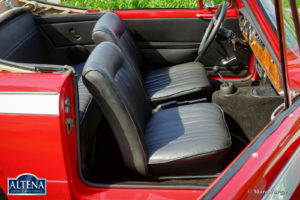 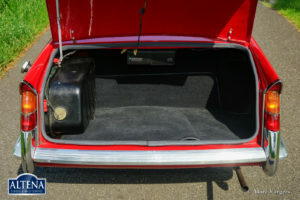 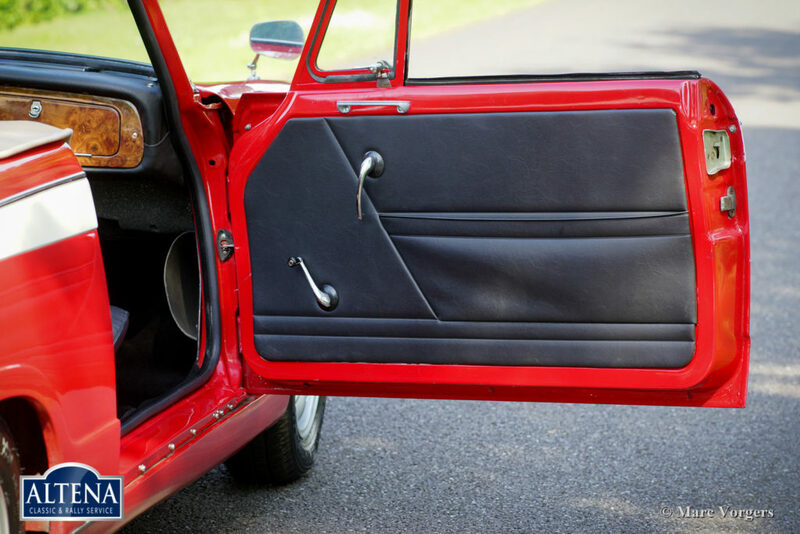 The Triumph Vitesse is a compact convertible which offers space for four people! The car features a smooth running 2-Litre six-cylinder engine mated to a four speed manually operated gearbox and overdrive. 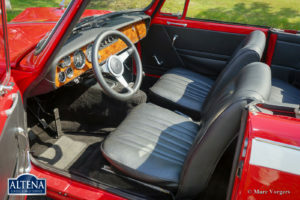 Furthermore, the car is fitted with beautiful Minilite-style alloy wheels and a MotoLita sports steering wheel with leather rim. 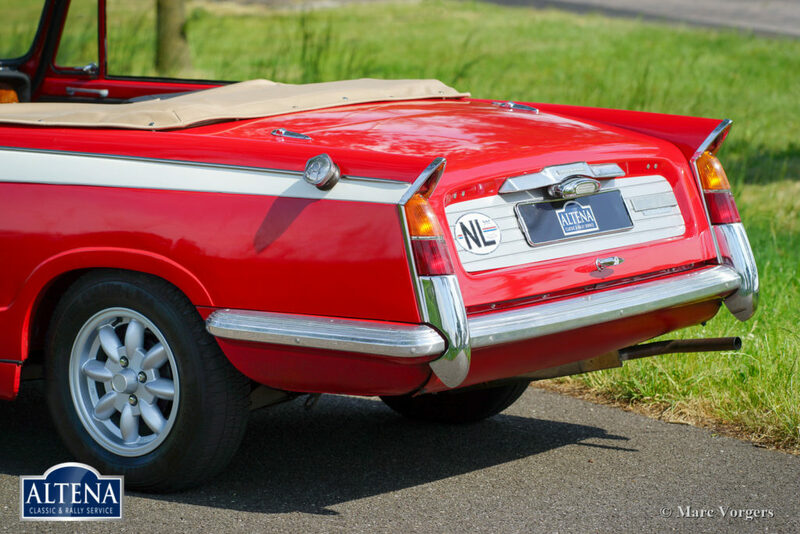 This is a highly desirable convertible to be enjoyed by the entire family!